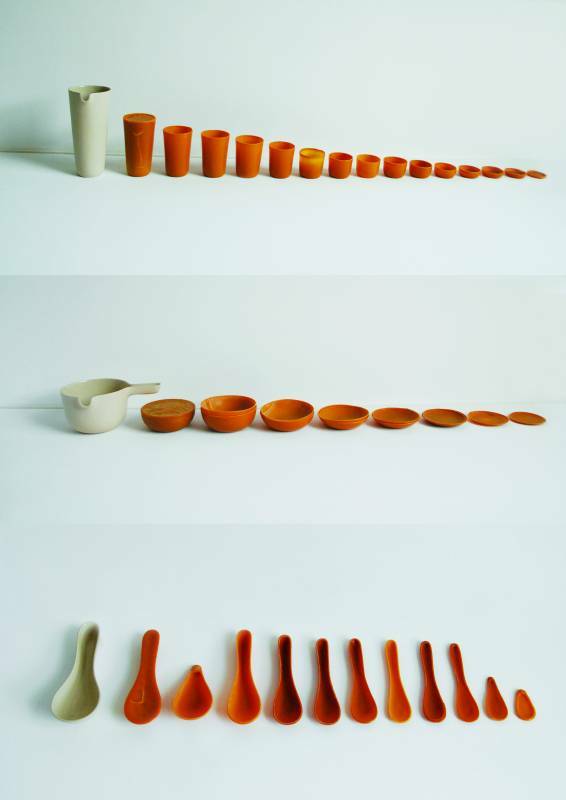 I believe the process of making tableware is at least as interesting as the end product, but normally it is not visible. In Meltware, process and product collide. 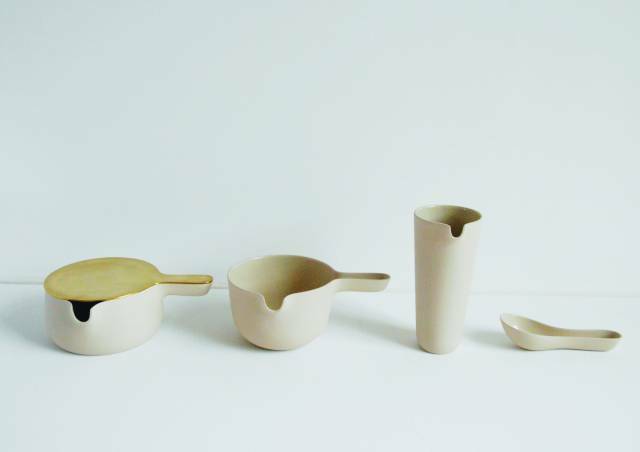 The stoneware carafe, bowl and spoon I’ve created are not just pieces of tableware but they also function as molds to make tableware made from Carnaubawax. This wax is a hard, natural, waterproof and reusable material extracted from the leafs of the Carnauba palm tree. The tree produces the wax to protect itself against dehydration. I developed a production process. The material is hard, but fragile so the wax tableware pieces have to be handled with care and are not suitable for hot liquids and food.